Founded in 2016 by game industry veterans Genvid is backed by March Capital Partners and OCA Ventures. Genvid provides an SDK for game developers to integrate into their games and allows game developers to make revolutionary broadcasts. 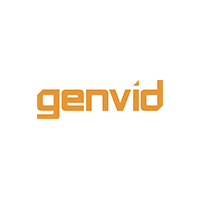 The Genvid SDK is a simple-to-use middleware, flexible enough to run on any streaming platform and infrastructure that developers want to support. The company’s name is a fusion of two Latin root words, Gen meaning “birth” and Vid meaning “viewing”; reflecting the company’s mission to power a new era of interactive streaming experiences.